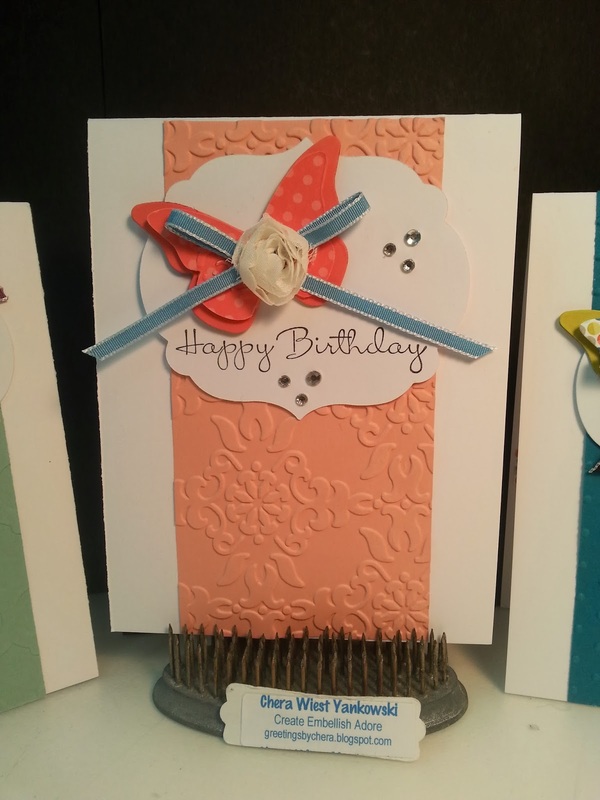 Three simple elegant cards for those special birthdays. 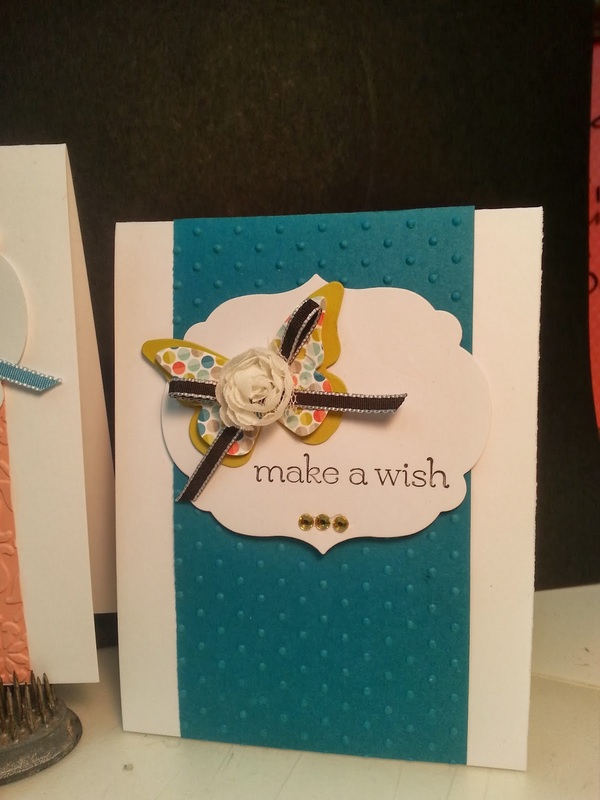 Each card gas a beautiful designed butterfly, ribbon and rose bud. 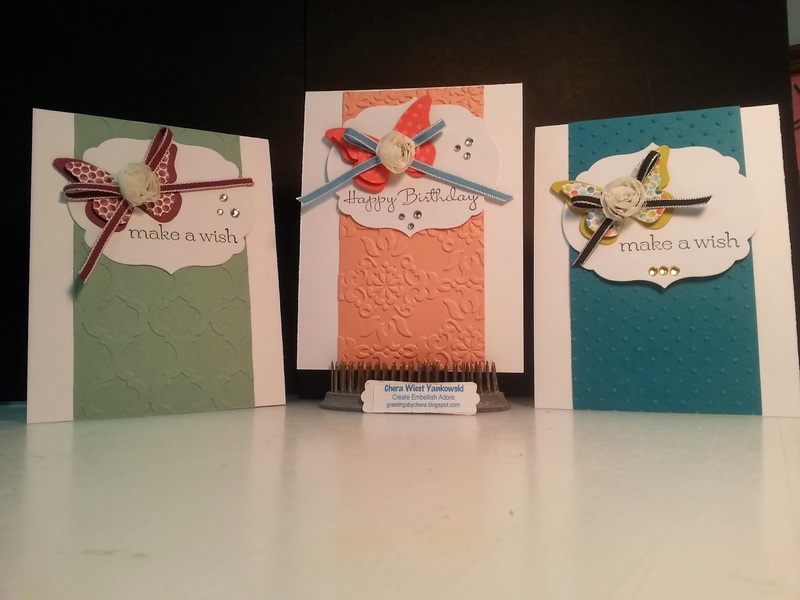 Indigo, Coral and Sage round out the embossed centers. Added some bling for wow, and finished.